Jacob Rees Mogg condemns Enoch Powell speech! Jacob Rees Mogg, who for many is seen as the future of the Conservative Party, has been universally praised and criticised at the same time for his thoughts on Enoch Powell's famous 'Rivers of Blood' speech. The speech was read out on the BBC last night with many criticising the move while others said that Powell has been proved right. 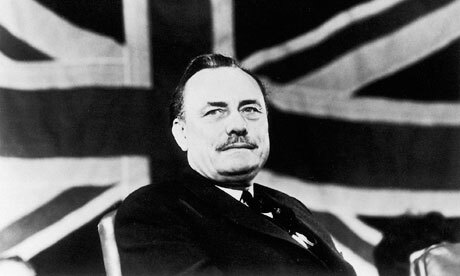 Rees-Mogg used the event to share an article that his Father wrote in The Times stating that Powell's speech was evil, Rees Mogg said: “My father’s view which has stood the test of time about Enoch Powell’s speech”. A poll by panorama at the time stated that 74% of British people agreed with what Powell said. Others have argued that with crime rates and social discord rocketing Powell has been proved correct. Rees Mogg has been attempting to portray himself as some form of radical but many others have argued that he is as establishment as they come. He is a multi- millionaire brought up in circumstances far removed from the life 99.9% of the population live. Read: "Health Secretary Jeremy Hunt could face JAIL over fraud"
Read: "Umunna, Soubry & Celebrity luvvies launch new campaign!"